Startup Menlo Security has emerged from stealth mode with $25 million more in its wallet and a new approach to fight malware that isolates Web traffic completely from the corporate desktop so potentially dangerous software can’t cause harm. Buoyed by Series B funding by new investor Sutter Hill Ventures, Menlo Security—aptly named, as it’s based in Menlo Park, California—has unveiled its Isolation Platform, new technology that eliminates the threat of malware infiltrating the network from the Web, e-mail or other key attack vectors, the company said in a press release. Menlo already received $10.5 million in Series A funding from General Catalyst, Osage University Partners and Engineering Capital to support its growth last November. 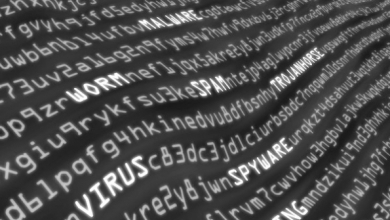 Typical anti-malware solutions prevent dangerous software from entering a corporate network from the Web or e-mail traffic by identifying it before it can get through. Menlo claims its approach represents a new paradigm for anti-malware by taking a different tack, that of isolating and executing all Web content in the cloud and away from the network endpoint, the company said. This type of isolation rather than mere identification and prevention is poised to be the next wave in anti-malware protection, according to analyst Neil McDonald of Gartner. He said that “virtualization and containment strategies will become a common element of a defense-in-depth protection strategy for enterprise systems, reaching 20 percent adoption by 2016 from nearly no widespread adoption in 2014,” according to Menlo. Developed by a team of experts in security, cloud and virtualization who worked alongside academics from the University of California, Berkeley, the Menlo Security Isolation Platform requires no endpoint software, instead using clientless rendering technology called Adaptive Clientless Rendering. This patent-pending technology delivers a non-executable, malware-free copy of the user’s session to his or her native browser, creating a transparent user experience, the company said. The Menlo Security Isolation Platform is available now as a public cloud-based service or as a virtual appliance if an enterprise wants to deploy it on premise. The platform is hardware-, OS- and browser-agnostic, having a range of compatibility with desktop or laptop computers as well as tablets and smartphones; Windows, MacOS, iOS and Android; and Internet Explorer, Chrome, Safari or Firefox.